Residence "Chalet Abendrot (Utoring)". In the centre. In the house: WiFi, table tennis, billiard table, lift. Communal covered parking (extra). Shop 400 m, restaurant 10 m, bus stop 20 m, railway station 800 m, indoor swimming pool 600 m. Golf course 2 km, sports centre 600 m, mountain railway 180 m. "Latino" restaurant in the residence. 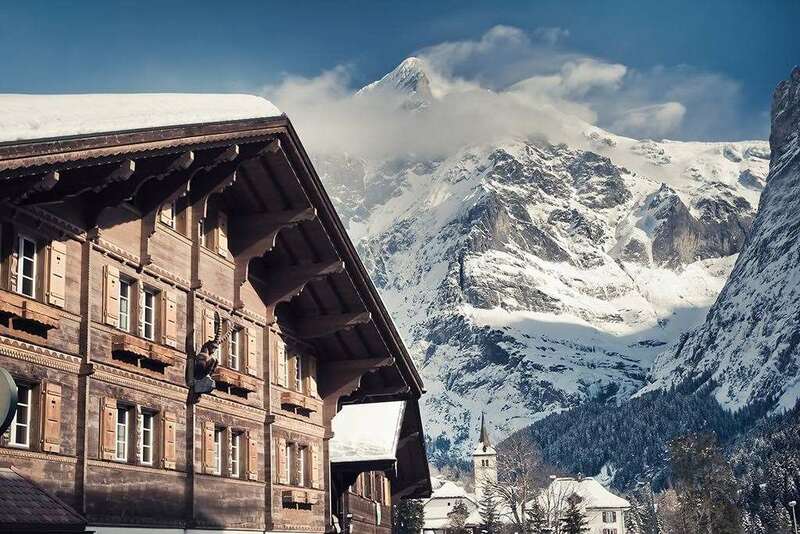 The chalet-style apartment building has a room for young people, a playroom, a large garage (parking space CHF 84/week, reservation on arrival). Steam bath and indoor pool available in the neighbouring building for only CHF 25/week. Modern-rustic, luxurious apartments many with a generous balcony or terrace with wonderful views over the mountains. Please note: garage height 2.09 m, max. weight 2000 kg/car. Warning : for bookings of less than 6 nights, cleaning and linen will be charged. Linen: CHF 20/person. Cleaning: 1-room apartment CHF 60, 2-room apartment CHF 75, 3-room apartment CHF 85, 4-room apartment CHF 110. 1-room apartment 21 m2: living/dining room with 2 beds, cable TV and radio. Kitchenette (oven). Shower/WC. No view. Please note: apartment courtyard side. Non-smokers only. Maximum 1 pet/ dog allowed.